The season of giving may be over but this doesn’t mean that you can’t buy presents for your friends. This list of gifts is perfect for that foodie friend or relative you have and can be given during housewarming parties, birthdays or even just because you are feeling generous. The KitchenAid is the Holy Grail of kitchenware as it’s expensive but it’s so good quality that the price tag is totally worth it. There are so many different types out there so just choose one that makes a good gift for your foodie friends. Your foodie friend or relative may have plenty of cutting boards already at home but this beautiful combo piece is unlike any other that you have seen. It’s great for dinner parties or for any time you feel fancy and want to use it. Crepes are delicious and easy to make but you need the right tools for it. They are also super versatile and if your foodie friend loves cooking, they will love this crepe pan that allows them to experiment with so many different types of crepes. Saffron is well-known to be the most expensive spice in the world and your foodie friend might not have it in their home simply because it is so indulgent. This would make a great gift especially if you get them a few other spices they can use to jazz up their food. There’s nothing quite like having a showstopping piece of kitchenware at home and this striking pitcher is the perfect thing to display. It’s functional, outstanding and looks good however you use it so your friend will surely thank you for such an awesome gift. Everyone probably has wondered how would it be to work as a bartender or create their own special concoction to drink at home. 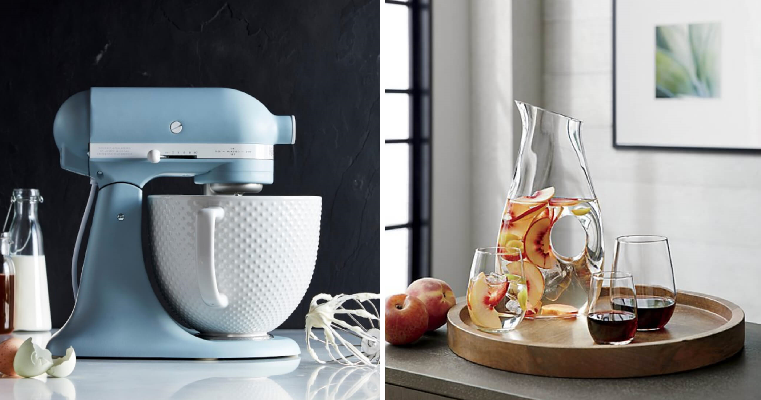 Now you can help your foodie friend realise their dreams by giving them this sleek and stylish cocktail shaker.